On Feb. 17, 2015, Chicago resident Tom Dubert was skiing down the Flying Dutchman, a blue run at Keystone Resort. According to a civil suit, Casey Ferguson was snowboarding uphill of Dubert and attempted to pass him “at a high rate of speed.” Instead, the documents say, he slammed into Dubert from behind, separating his shoulder. After a two-day trial last week, a Summit County jury ordered Ferguson to pay $263,454.44 in damages, which will cover Dubert’s medical expenses and compensate him for missing months of work as a paramedic due to the injury. Ferguson’s defense team could not be reached for comment. 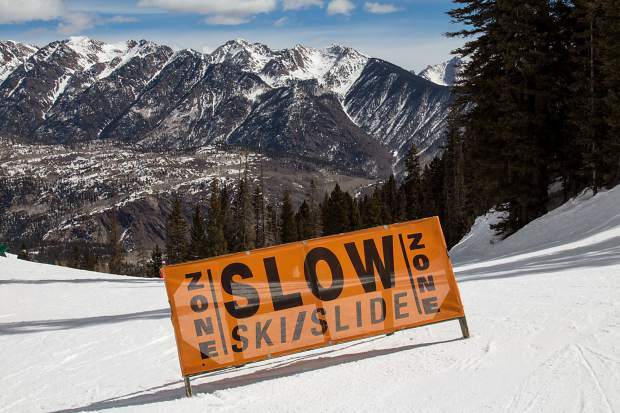 It may seems like a lot of money for trying zip past a slower skier on an intermediate run. However, according to Dubert’s lawyer, Evan Banker, Ferguson won’t pay a dime: he lives with his parents, and is thus covered under their homeowner’s insurance, which, according to Banker, “Covers just about whatever you do that’s not in a car.” Renters insurance, he added, generally covers ski accidents as well. That’s why trials for ski accidents so rarely end up in front of a jury — and why the ultimate sticker price for clipping another skier rarely ends up being public knowledge. The vast majority of such cases are settled out of court between insurance companies and attorneys, Banker said, and they only go to court when the two parties can’t come to an agreement. When that happens, it’s the insurance company, not the policyholder, that lawyers up and foots the bill for any damages. Banker is a partner at Chalat Law, a Denver-based firm that has found a niche handling ski collisions. He said his firm takes roughly 40 such cases per year, and the overwhelming majority of them never end up in a courtroom. Banker said that most uninsured defendants would be forced to declare bankruptcy in a settlement, netting his client — and his law firm — pennies on the dollar. “It’s not worth our time and it’s not worth our client’s time,” he explained. Data on the frequency of these cases is difficult to determine, as is the share of all ski accidents that are skier-on-skier collisions. Jim Chalat, who has been handling such cases for decades, said that while private operators do record and share that kind of data, they don’t make it publicly available. Generally, Chalat said, the trend in ski accident cases is upward, as lifts get faster and ski slopes get more crowded. On top of that, he said, advances in ski technology have made people think they’re better skiers than they are, leading to more reckless behavior. Legally speaking, however, there is a big difference between reckless and negligent skiing. Reckless skiing is intentionally doing something that no reasonable person would do under the same circumstances, and unlike negligent skiing, it can, in very rare cases, lead to criminal charges. The most notable example was that of Nathan Hall, who in 1997 was straight-lining down a mogul run in Vail and lost control, slamming into another skier and fatally fracturing his skull. An Eagle judge dismissed manslaughter charges against Hall, but in a landmark decision the Colorado Supreme Court overturned that ruling, saying Hall’s behavior was beyond negligent and that as an experienced ski racer he should have known better. Skiing negligently, on the other hand, is not “abjectly stupid,” in Banker’s words, but you’re responsible in the same way as if you took a peek at your phone and then ran a stop sign, hitting another driver. To win a civil case, said Chalat, attorneys just have to prove negligence, not recklessness. In Ferguson’s case, he said, that was easy. According to Banker, who argued the case in court, a key moment was when, under cross-examination, Ferguson acknowledged that he could have taken a wider route around a nearby lift pole, but instead tried to shoot that gap. He allegedly admitted on the witness stand that this was a riskier move.